Thanks for agreeing to renew your membership! Grassroots gun rights supporters like you are the only thing standing between the gun-grabbers and even more assaults on our Second Amendment rights. That's why I hope you will renew your membership with the National Association for Gun Rights for 2015. So please become a member for just $25. 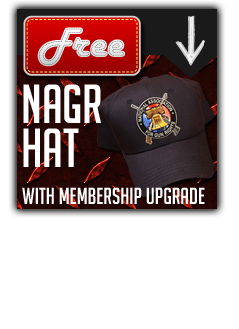 Or if you upgrade your membership to the $35 level, I'll send you a free NAGR hat to thank you. And if you can afford it, please consider becoming a lifetime member with a one-time contribution of $1,000. © Copyright 2015 National Association for Gun Rights, All rights reserved.